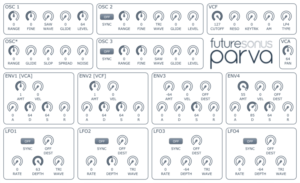 Futuresonus Parva panel covers all available MIDI CC’s according to official documentation (as of 28.1.2017). Let me know if you find any bugs, I’ve tested it just briefly. Oh no… I don’t like it… The panel created a bug on my ctrlr standalone. Each time I open the app, i have the parva panel, and no menu whatsoever to close it and open another panel. I deleted the app, the parva panel, cleaned the trash, installed ctrlr again, but Ctrlr stays blocked on the parva panel, and there is nothing I can do. Even when i select another .panelz file, and try to open it with CTRLR the app opens in this frozen state. I start to panic now. I’m using the latest mac update. Help somebody ? Sorry for causing such troubles. I see what happens but don’t know why (missing menu bar, cropped panel layout by the height of the missing menu). I’ll check that. In the meanwhile, what help here is to open other ‘working’ panel. This should give you the menu back. Edit: It should be fine now. Download it again. There was one menu specific checkbox left on. Ok i’ll try again. I found a solution thanks to the forum to solve the issue with Ctrlr. Nonetheless It’s great to share your panel. 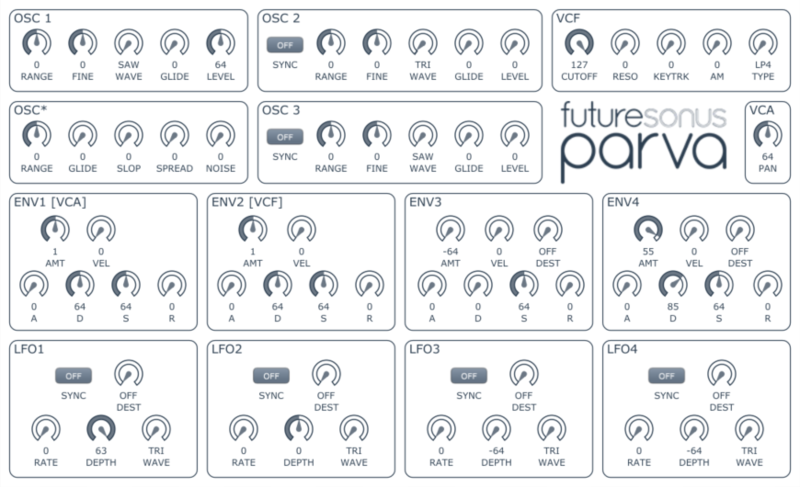 Looking forward to test it !